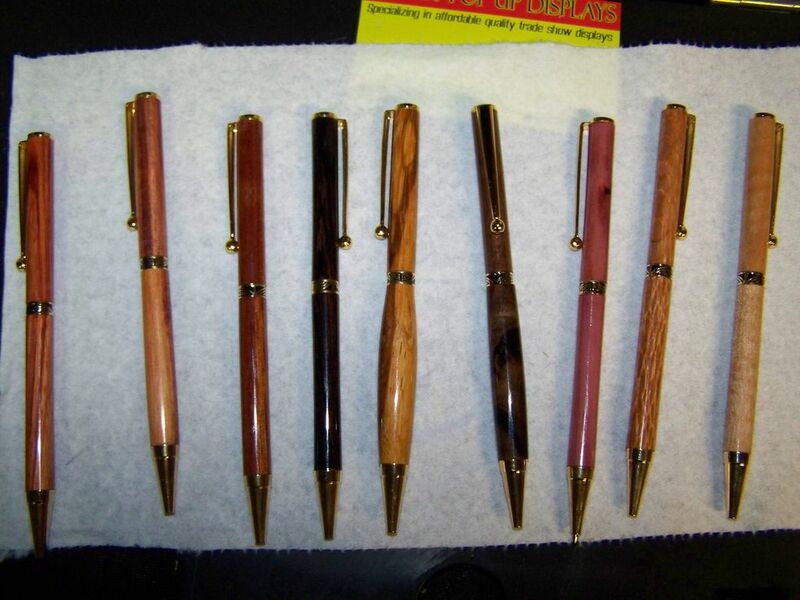 Have you ever wondered how to make those awesome wooden pens? Well here is how you do it. 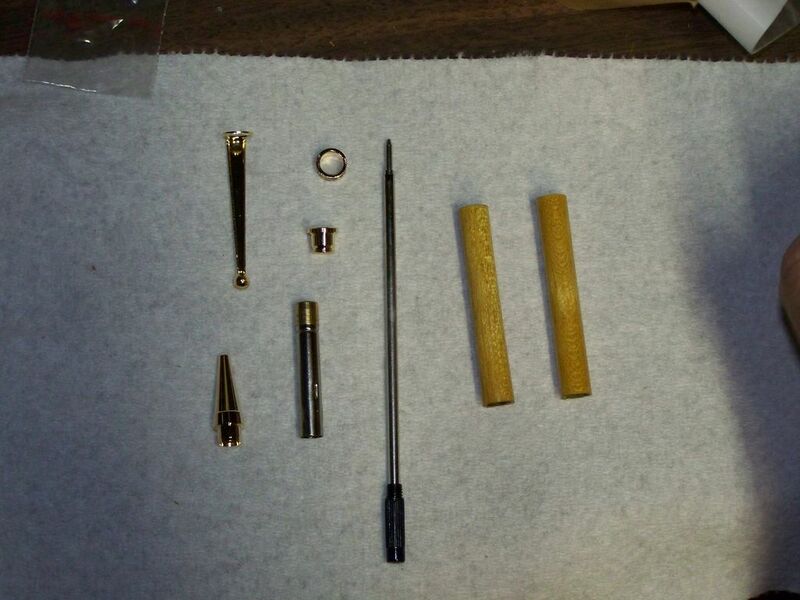 At first the making of a American pen (that is this kind) will take you about a hour and a half but once you have made a bunch you can make them in 15 minutes. For this Instructable you need these supplies. Most of these tools you can substitute for something else cheaper. You will need a piece of wood called a blank. 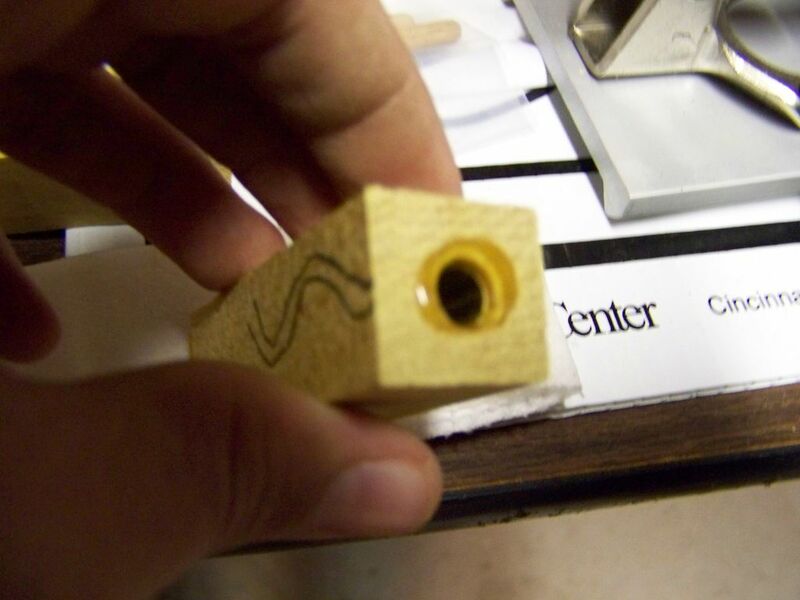 This can be any type of wood as long as the wood is long enough for the tubes to fit in the piece of wood. 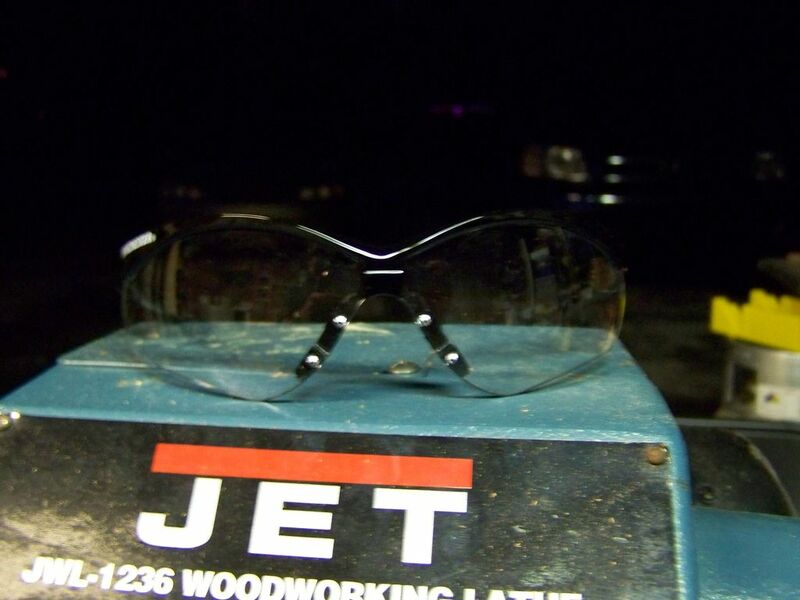 Then you need to cut the wood so that the wood will be long enough for tubes, Before you start cutting or even think about cutting put on your saftey glasses. 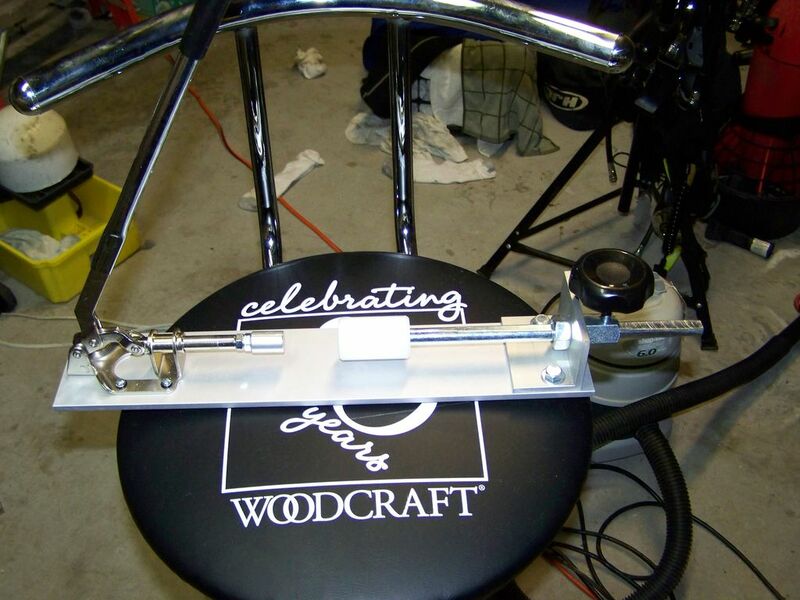 I use a Craftsman table saw to cut the wood but a bandsaw or a scroll saw would do the job well. Make sure to measure twice and cut once. 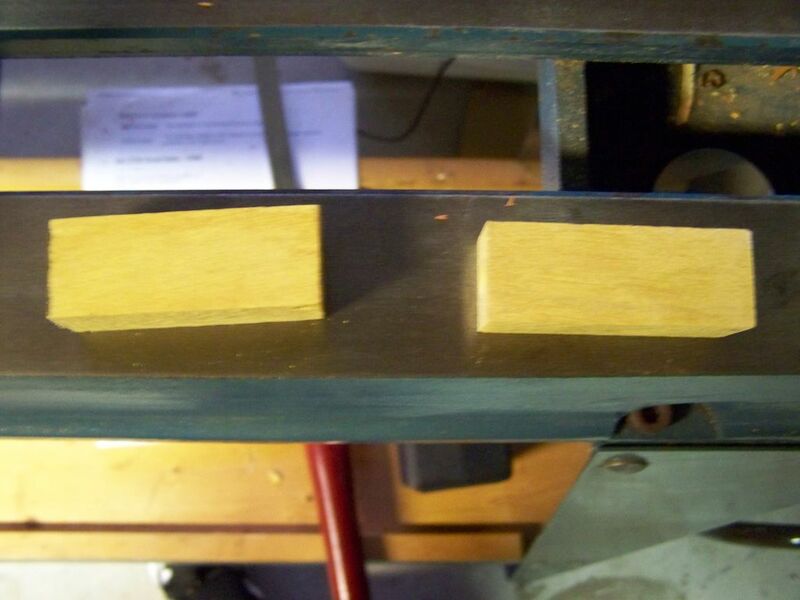 This step can either be done on a drill press, Lathe or hand drill. I would not recommend drilling this hole on a normal drill because the hole has to be perfectly square. The drilling on a drill press is self explanitory. But drilling on a lathe? 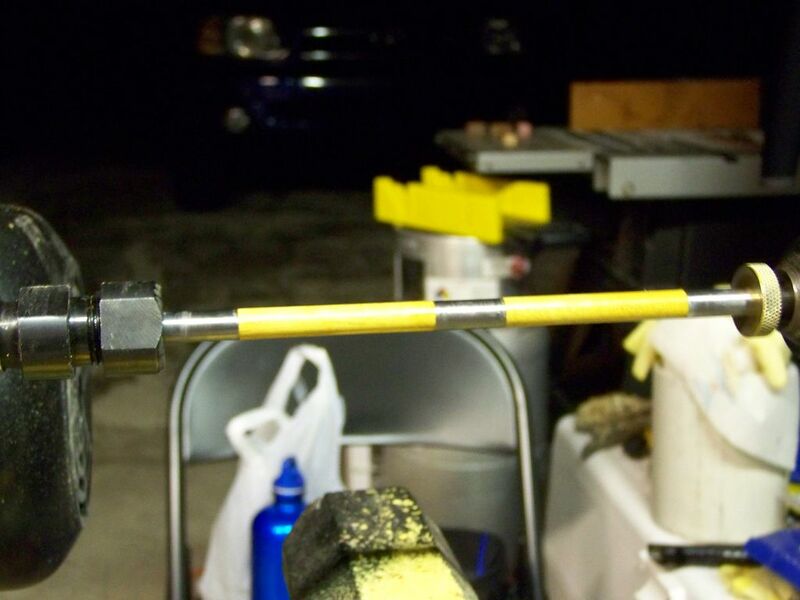 Yes it can be done with a supernova chuck and a drill attachment. 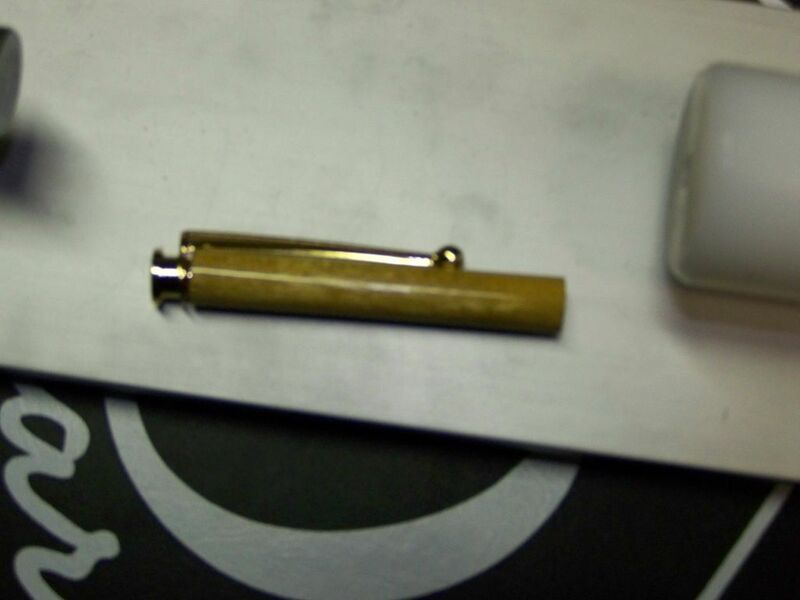 Sand the blanks so that they are not shiny and then apply a line of thick CA glue to the tube and push in to the blank. Pull and twist the blank so that the glue gets all over the inside of the hole then repeat on the other side. After you have done that push in the tube so that it is not sticking out of either side of the wood. 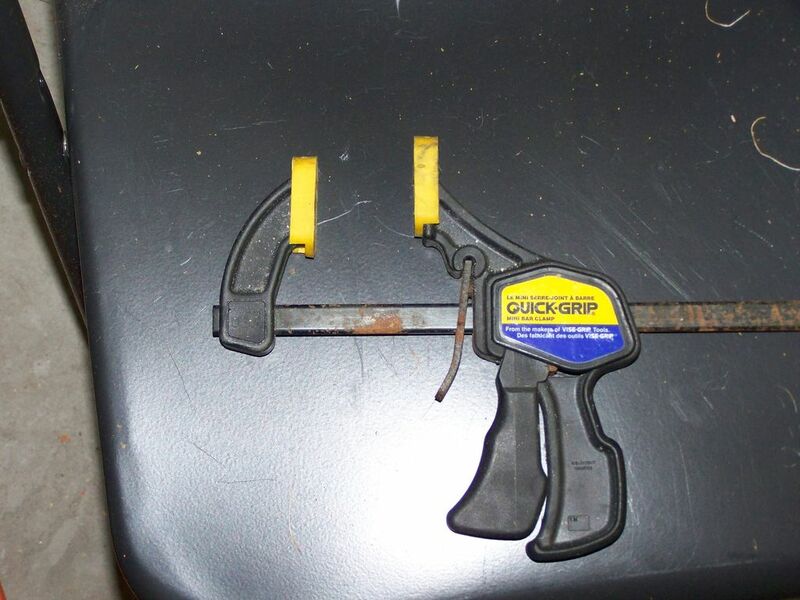 For this step it is best to use the tool specially made for this or you could use sand paper and a square. This makes the wood flush and square with the tubes. 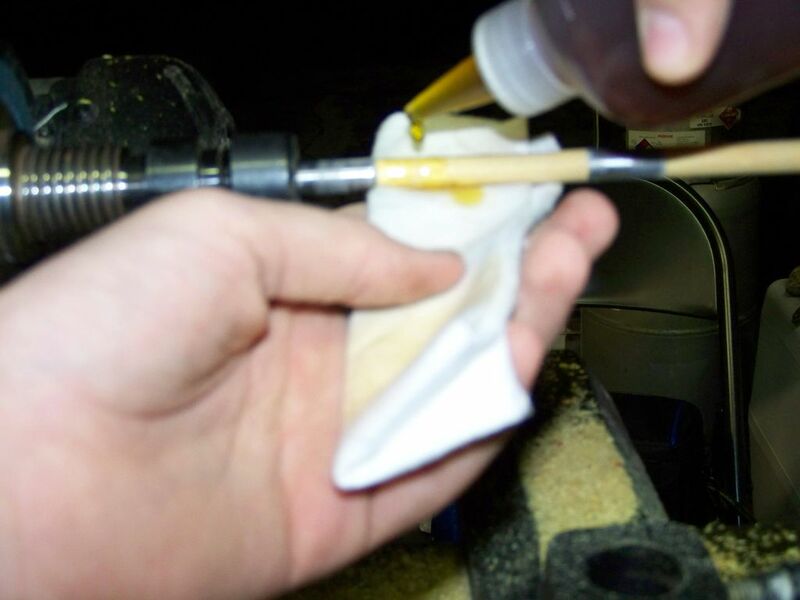 Be careful not to drill down to far because then the tube will stick out and in the final product you will have a gap in the joint of the pen. This is my favorite part. 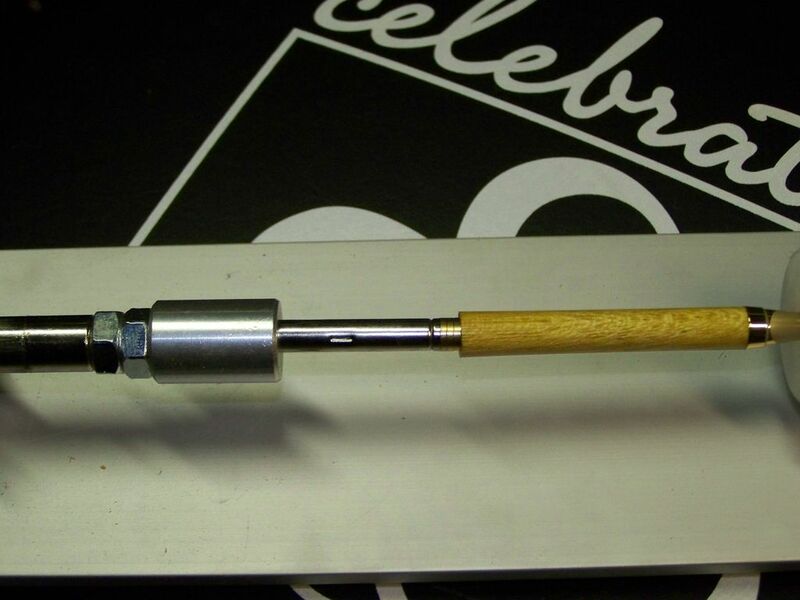 You can use a wood working lathe and skew or make a lathe like in Catwood's Instructable 100%Homemade Lathe. 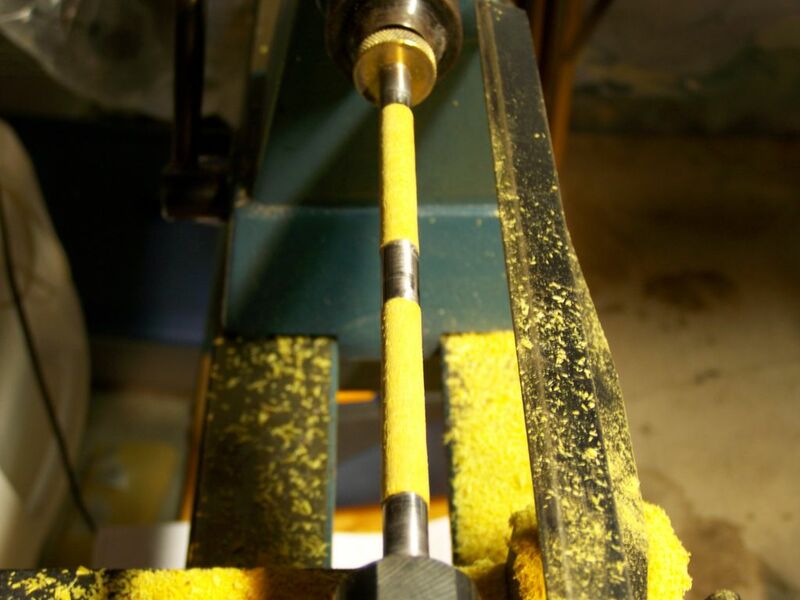 ( If your lathe has a speed control you will want this to be as fast as possible) For a skew I use a round tip. You could also use a gouge or a chisel. 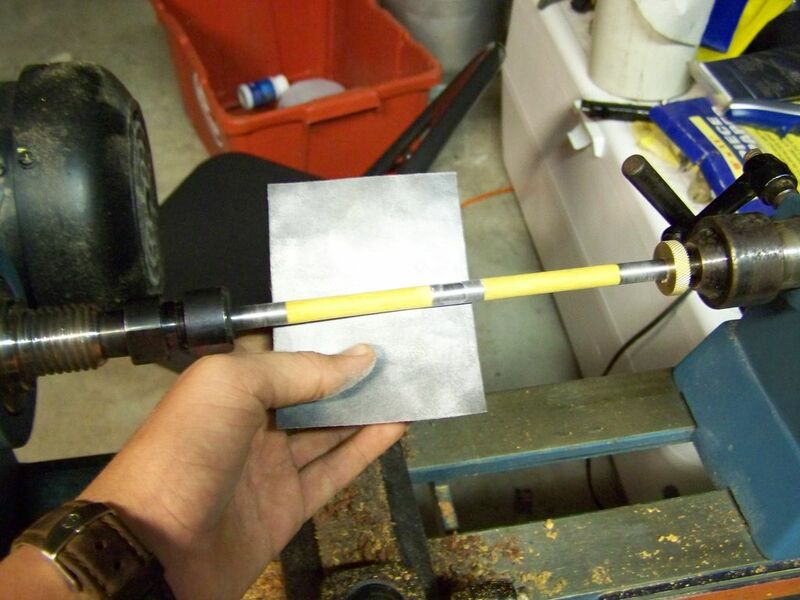 Now take your Mandrel and bushings and put the blanks on there so there is a bushing then blank then bushing then blank then bushing. The bushings are your guide to how much you turn down the wood. Remember you can always take off more but you can't but wood back on. (or can you) Try to turn as smooth as possible so you don't have ridges. Before you sand slow down your lathe to as slow as possible for the rest of the process. After you are done turning sand with no less grit of 220. 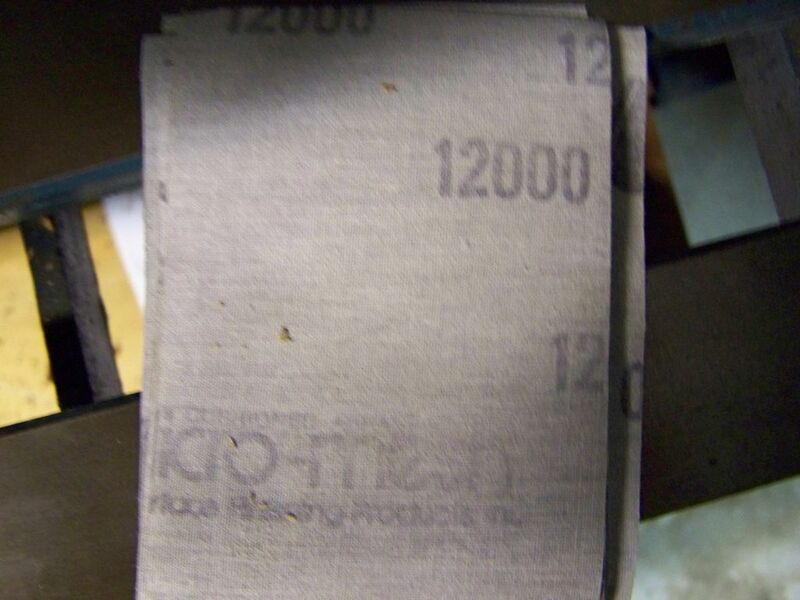 Make your way up to 400 grit then look at your blanks. 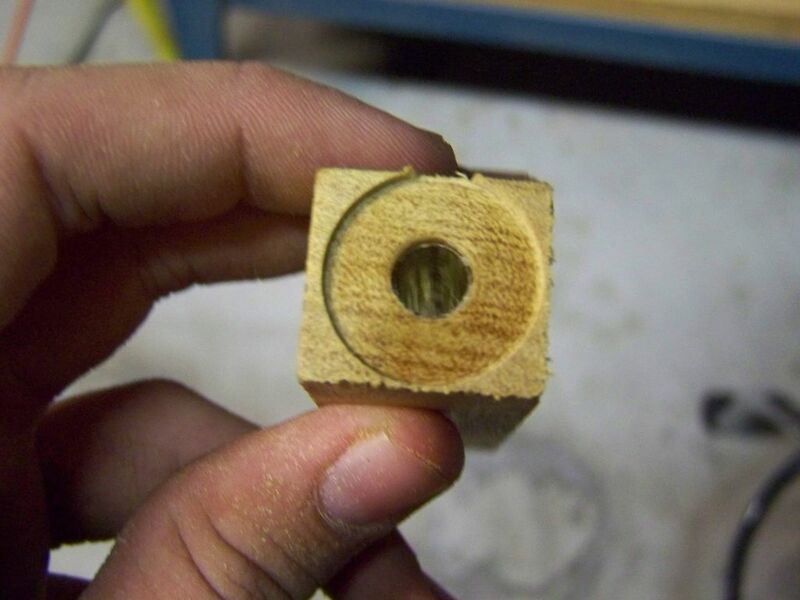 A good way to see if you are done sanding is to run your fingers on the blank with the lathe on. You can tell a-lot more with your fingers than your eyes. 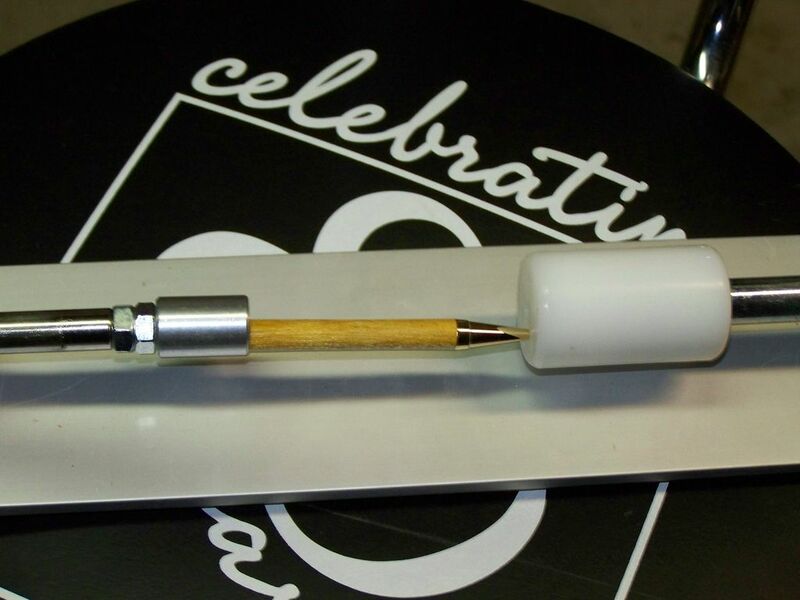 After your blank is smooth and flush with the bushings take your BLO (Boiled Linseed Oil) and put some on a paper towel and rub it good then look at how beautiful your pen will be. This is pretty much how your pen will look like when your done except it will be 100 times shinier. In this step you will start to apply the finish. You need CA glue or regular super glue. (CA glue works better) If you have thin glue start with this then do thick glue. Make sure to make the glue as smooth as possible and even. Take your glue and paper towel and put the paper towel on the bottom of the pen then squeeze glue and smooth out the ridges. The paper towel does get hot and does smoke. Make sure not to take away the paper towel to fast because it will look bad, but don't leave it on too long because the glue will set up and will stick to the pen. You will want to do 1 coat of thin and 2 or 3 coats of thick depending on how smooth the blanks are. After you do the CA finish you will see that the blanks are shiny, you will want to take 400 grit sand paper and get rid of all the shiny spots. You will then take Micro Mesh sanding system and sand from 1,500 grit to 12,000 grit. Every other grit you should turn off your lathe and sand back and forth horizontally while turning the lathe by hand. This will get rid of sanding and tool lines. After you have done Micro Mesh you need to tale out your Beall buffing and finishing system. This is a 3 step process that starts with tripoli then white diamond then carnauba wax. 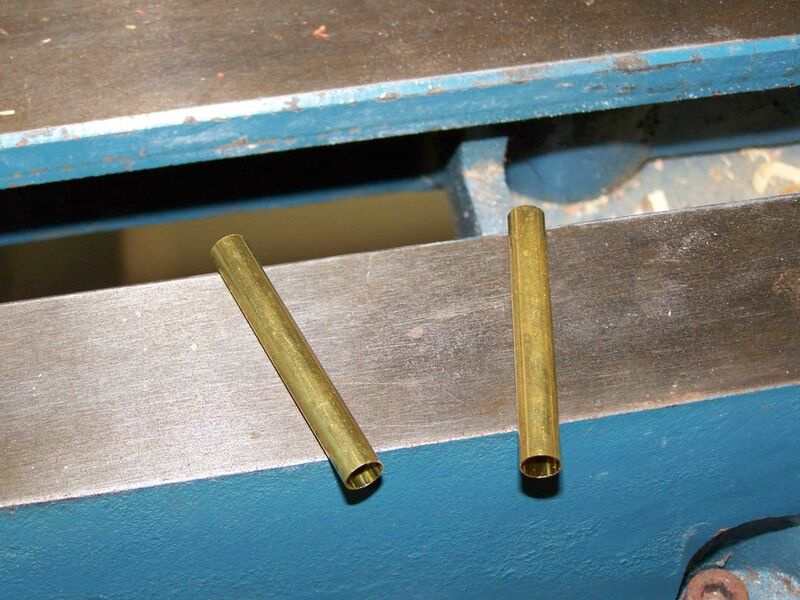 You load these with the finish by turning on your lathe a rubbing the bars on to the wheels. While the wheels are spinning twist and turn your blanks (still on the mandrel) in the wheels so there is a even and thick coat. After that take the blanks off the mandrel and get out the pen press or clamp. 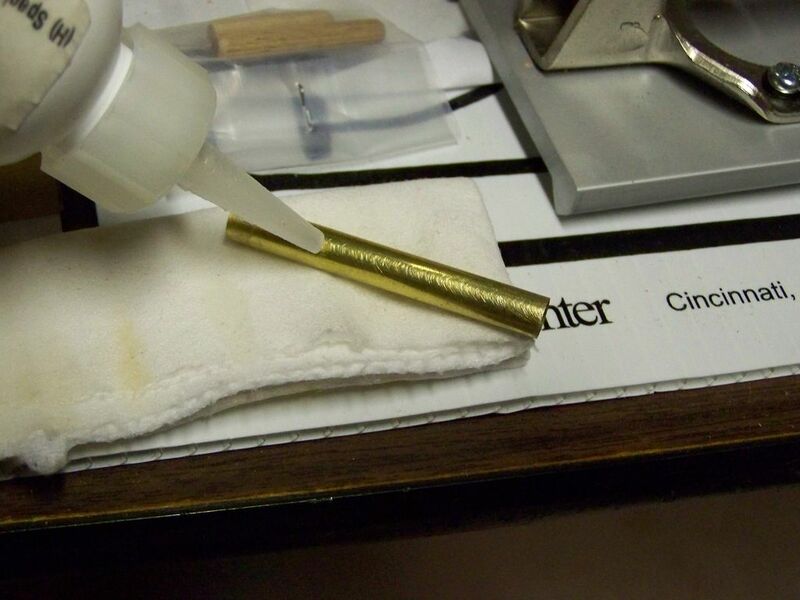 Check the blanks to see if there are and imperfections and if there are set that blank to the side and get the other one and press the tip in to one end.Then take the same blank with the tip and put the transmission in the other end. BE CAREFUL not to put the transmission in to far, push it in to the line and then put in the ink refill and see how far it goes. After that take the blank with the imperfection and take the clip and little cap, and position the clip over the imperfection and then put the spacer on between them and stick them together. YOU HAVE A HAND MADE PEN!!!!!!!!!!!!!!!!!!!!!!!! Look for more Instructables from me, on how to make other kinds of pens. I've made similar pens. there are a couple of variations to your process that may be worth sharing. 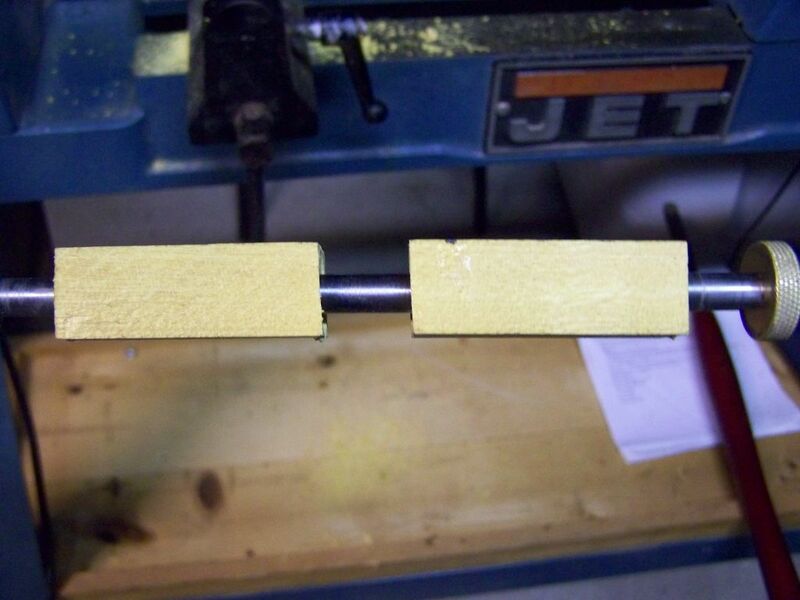 1 - When I am cutting the wood I use a guide made up to the exact length of the pen barrel. This is clamped to the square guide of a bench saw and allows me to get my wood cut to within half a mm or so.This cuts out the need for end squaring or the tool needed to do so. 2 - I leave my pen bodies slightly thicker than the mandrel and turn in a small shoulder to go flush with the mandrel / fittings. 3 - Polishing. i start with 120 / 150 grit sandpaper, and sand while the pen is still in the lathe. 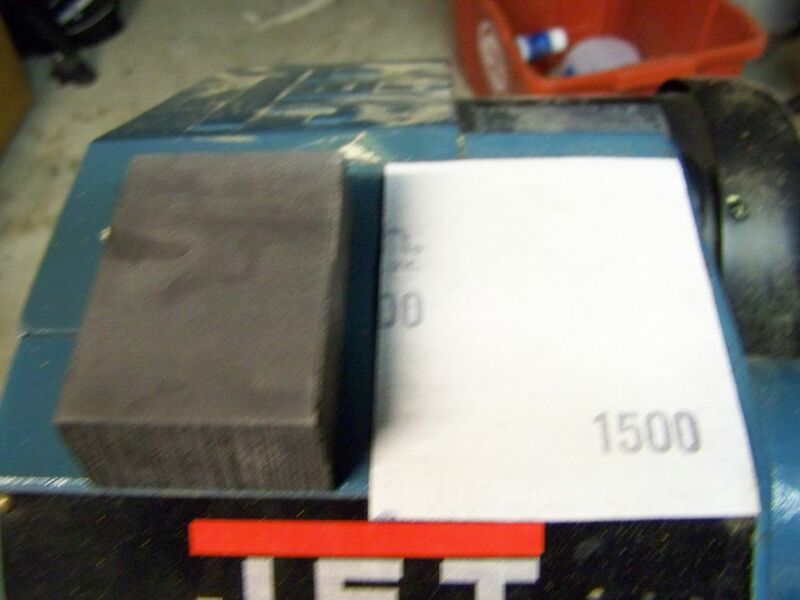 then 220, 280, 320, 400 grit and finally a cutting paste. 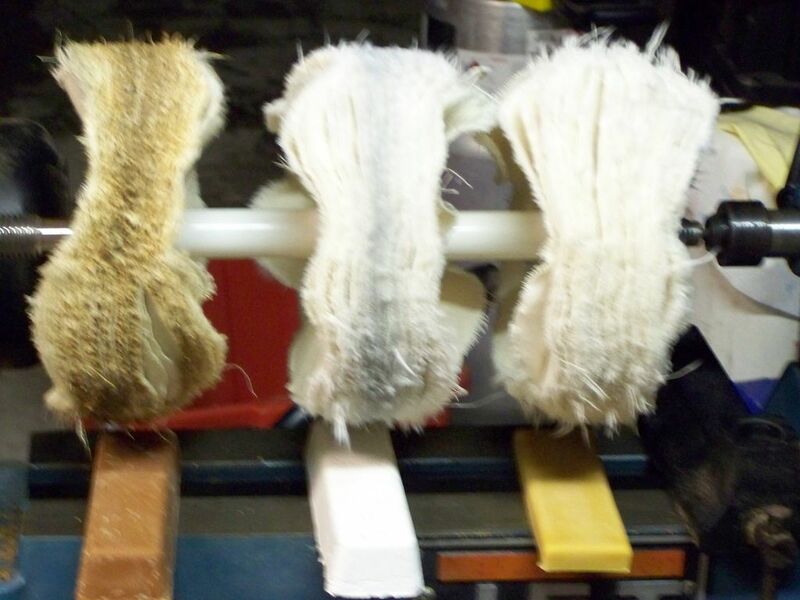 This is followed with a polishing compound and polishing is done with clean soft rags. Again it removes me need for some of the specialist tools. 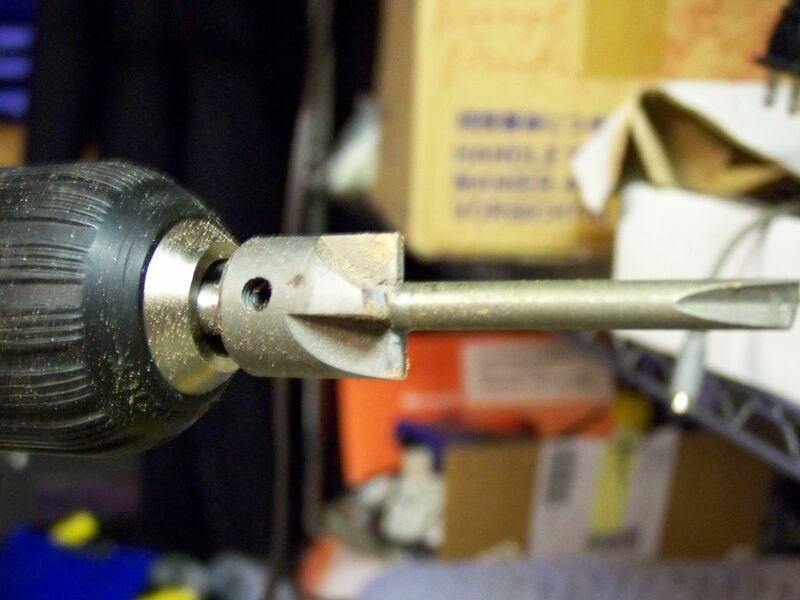 4 - Lastly, I press the parts in using a drill press with a square bolt held in the chuck of the drill. 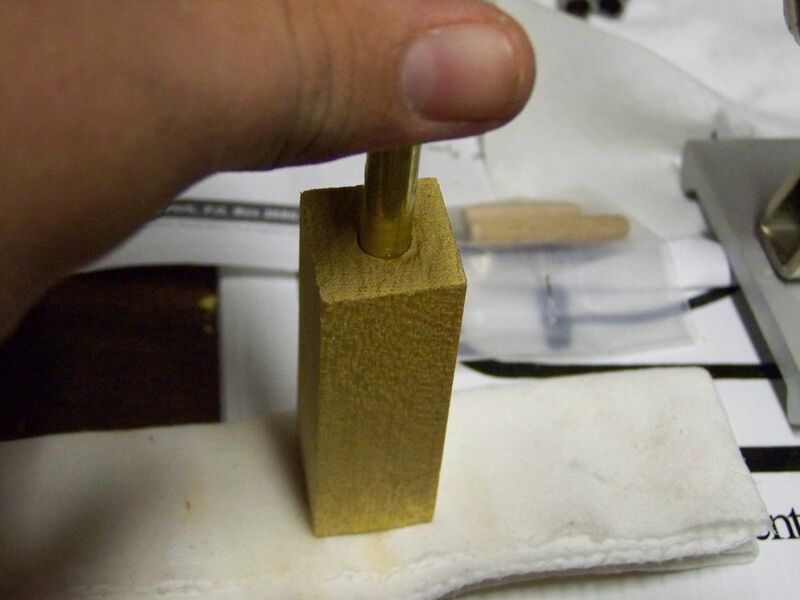 placing the pen end on on top of a piece of wood, I use the drill press to push the items in place. I've also used an adjusted bottle capper for the job. Thanks for the instructable - nice wood - really colourful. I've got some really dry apple wood and some cherry wood lined up. It will be interesting to see how that goes. Don't use paper or cotton cloth. The cellulose reacts with the CA glue and get's really hot. Use a synthetic cloth, like those microfiber lens cloths, and it won't get hot. 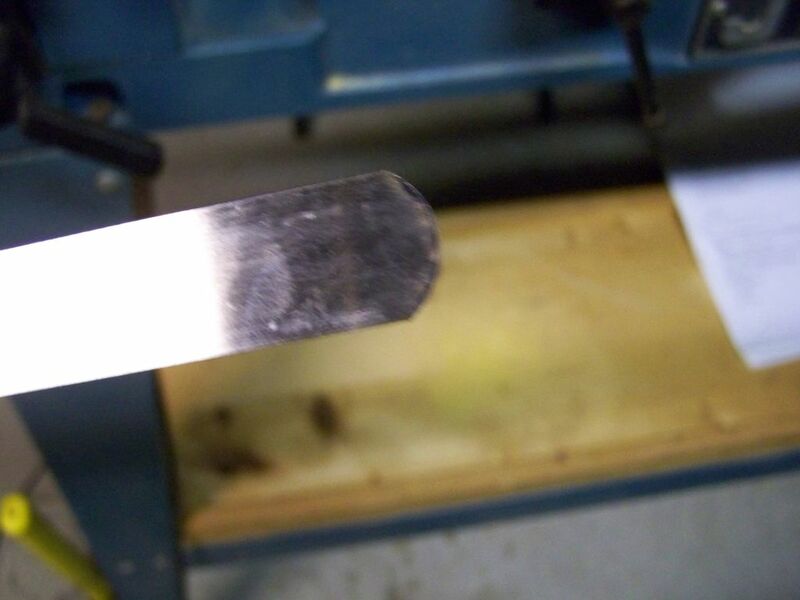 An actual "skew" chisel will likely leave as good a finish as you will get straight of a tool, as it cuts with a shearing action, where as a scraper, well it scrapes and tends to tear the fibers more than actually cut them. As well most turners regard the scraper as a tool for face work and not center work, such as pen turning. A properly ground and sharpened spindle gouge does very well also. But a skew is ideal, as it truly shines on spindles with either straight or gradually flowing lines and will produce a finer finish than most any other tool. The Crown "Skewchigouge" is sort of a version of a skew, and it's easier to cut with and produces good results. It's very affordable too. I often will use just it to turn out a run of 20 or 30 pens, as it's just easy to use and cuts better than most anything except a true skew. Also, you may want to try backing the speed down a bit. I find I have good results @ 800-1000rpm when initially rounding the blank, and 1500-1800rpm when shaping. Thanks for the feedback, I will definitely have to try out the "Skewchigouge"! Nice pens but that's not a skew, it's called a round-nose scraper. Still, it's name doesn't matter. All that matters is that this method works well for you (oh, and safety too, lol). About how much did you sell the pens for? Man I wish I could get that much for mine. That would be a sweet job. George Washington planted that tree. Well, I didn't sell those exact pens (they were for me and my family members.) but I have sold some acrylic pens for $30 before. I know someone who makes pens for Mt. Vernon for $95 that are from a tree George Washington planted. I have been wood turning pens since I was about 7 or 8 with a lathe that we have in our basement. So I've been doing this for a while, and it is great fun. I'd say the best pens I made were out of Corian, which is kind of like marble feeling, but it has many colors and of course a bit softer to turn. I also would recommend making pens out of bloodwood, which is a brilliant red, and cocobola wood, which is kinda, well, CocaCola colored. The bloodwood kind of smells bad and the cocobola is very hard to turn. The Cocobola broke a few times when I tried to use it, but it was awesome when it was done. 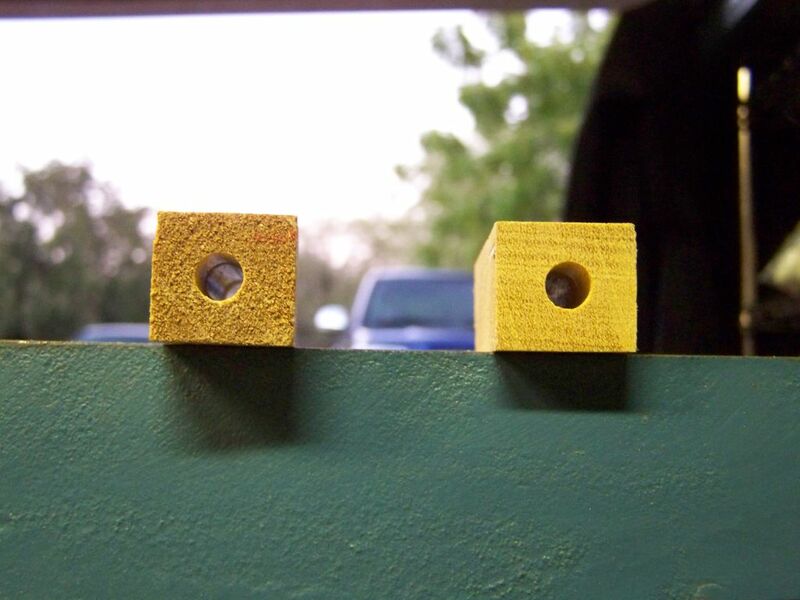 Do you think that you would have more control/get a better finish using a gouge?